KISS ME CAPTAIN on sale for .99 starting September 23! That’s right! You asked for it–you demanded it, and the yowling child always gets her wish! The e-edition for KISS ME, CAPTAIN, Book Two in the French Kiss series, will go on sale for the buy-me-NOW price of .99 starting on Tuesday, 23 September! Tell all your friends! Family! Co-workers! Heck–tell all you enemies! I’m fine with that! This is such a deal it’s like you’re stealing this book! If you were a fan of Book One, WANTED: WIFE, then you’re no doubt wanting to know what happens with Andy’s little brother, Marcel, who is now CEO of Mercier Shipping. Well, I’ll tell you, it seems the lone female captain in all of his fleet has chained herself to the mast of her ship in fear of losing her job, and now it’s causing a media firestorm. Guess who’s going to cross the pond to Philadelphia and straighten the situation out? One guess! Click here on 9/23 to get to all the bookseller where you can find out! And if you would much rather have the feel of cozy crisp paper in your hands, the paperback version of KISS ME CAPTAIN come out one week later on Tuesday, 30 September. Click here to reserve or buy your copy. And don’t forget to stop back after you’ve finished reading to tell me what you think! Guest Post in Chuck Sambuchino’s WRITERS DIGEST column! So there’s this, there’s all of this, and yet as hard as you work, shuffling schedules to make room for those two blissful hours alone, polishing that manuscript until it screeches surrender, querying in bunches and crossing your fingers, there it comes again, that blasted, callous bit of communication that so effortlessly denies you entrance. So you steal more hours, polish some more and once again type that header: QUERY: Historical Thriller 80k–and it’s almost as if you’re stuck in a copier churning out denied, denied, DENIED. DENIED. Yeah, we all know what that’s like. Rejection, requery, resubmit. So why do we do it? What pushes us on. You don’t the answer to that, right? If you don’t, then, ask yourself, why not? I got a nice little surprise in the mail today from an anonymous source. Okay, it was from Avon, so one could assume it was from my editor. I’m just going to go and assume that–thanks, Nicole! 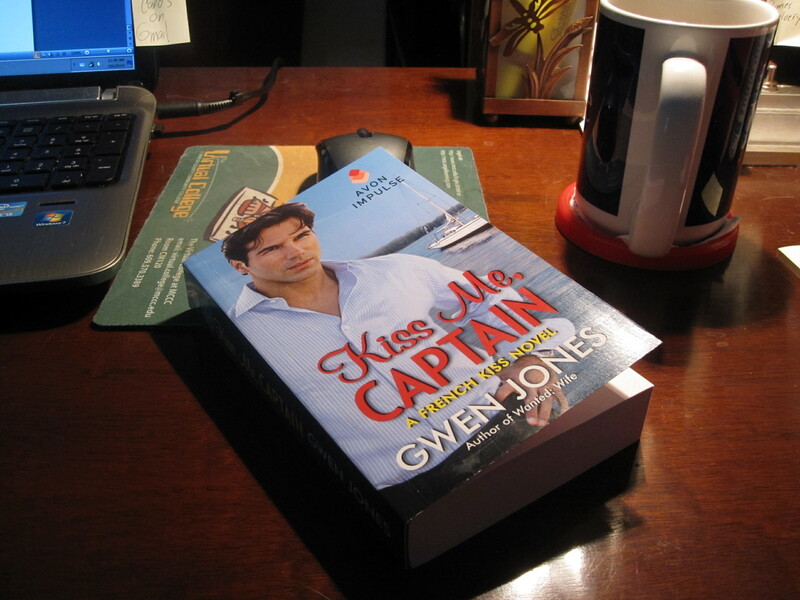 Anyway, it was the print edition of Kiss Me, Captain, which is due to debut on September 30. The ebook edition has been out since August 26, but somehow this just seems a bit more significant. This is why print books will never go out of style, at least for me. It still floors me to hold this tangible compilation of my own thoughts and fancies in my two hands. There really is still no validation, no real thrill quite like it for a writer. Sure, everyone wants to make money, but put this is a writer’s for the first time and watch them cry like a baby. And realize to get that thrill, we’d probably even do it for free. I said probably. But don’t get any ideas. We may be nuts but we’re not crazy. 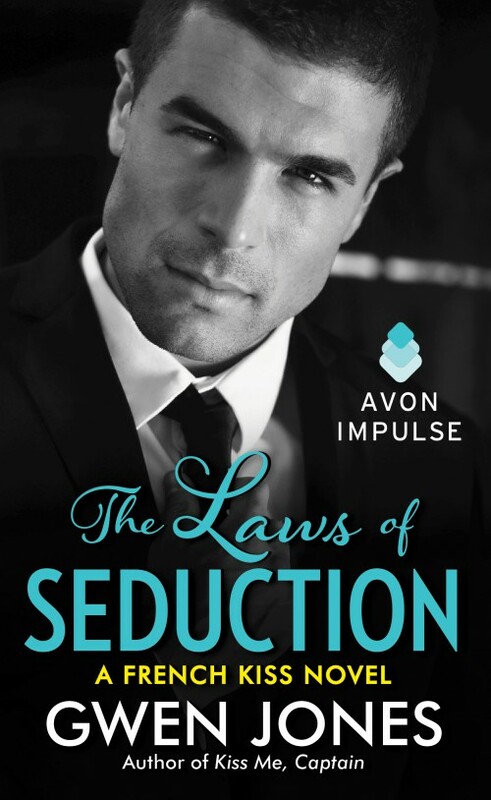 THE LAWS OF SEDUCTION ~ French Kiss #3 Coming 11/18/14!